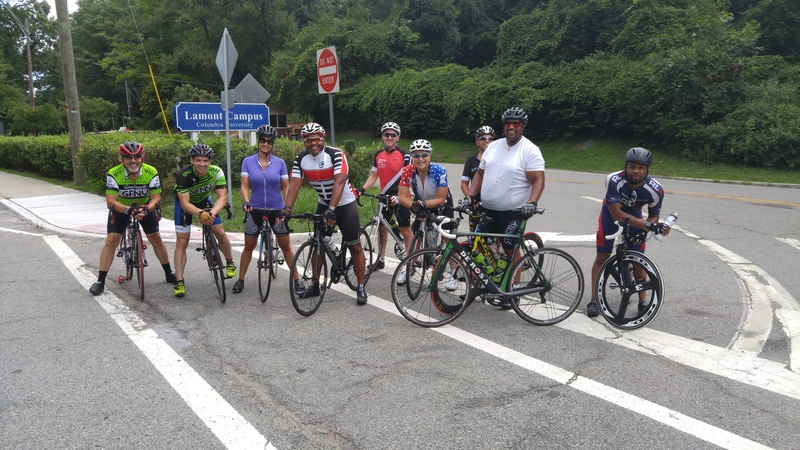 This past weekend we had a celebratory group ride in honor of our Gavia Warrior Tom Niccum who is moving out of our area toward the western part of the US. The Gavia scoundrels found out that my birthday was going to be a couple of days later and given that our group tends to enjoy eating they decided to have a birthday cake for me as well. On two occasions I tried to say a few words, first as it related to Tom and how much his friendship and kindness has meant to me over the past three years and second when I attempted to thank everyone for the cake; I was not able to complete either of those attempts without tears but would like to do so here as much as possible. In her book “Being Black – Zen and the Art of Living with Fearlessness and Grace”, Angel Kyodo Williams simplifies the Buddhist descriptions of the Three Jewels by referring to them as “three treasures” – teachers, teachings and community. The three do not stand alone, they are more like three circles that interconnect with each supporting the other and all supporting us. 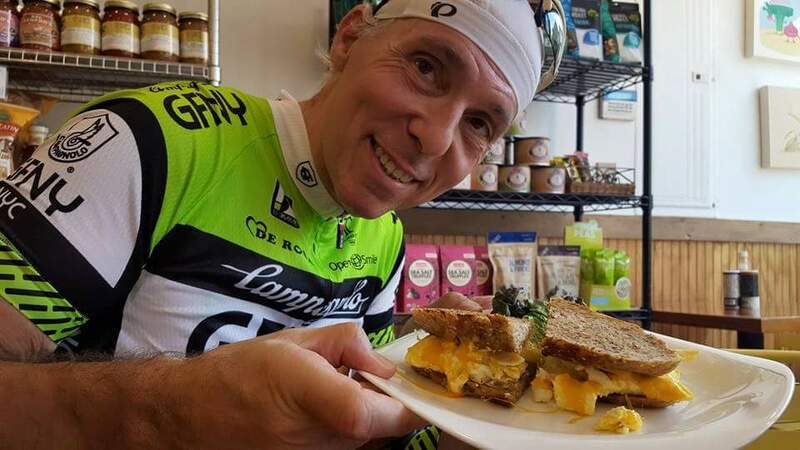 For me, and I know for many other Gavia Warriors, Tom has been all three – a teacher who shared worthwhile teachings while helping support and grow our community. He is someone who quietly helped me regain my confidence simply by being himself and has been a true leader in every sense of the word. While we are going to miss his physical presence he has left us with great memories and rides to look forward to when we visit him or he. As many of you know I had surgery and subsequent chemotherapy to treat testicular cancer this year. The chemo treatment ended in May, subsequent scans revealed that most of the cancer has been eradicated, there are a couple of lymph nodes remaining however they are still shrinking (given that one of them started at 8.5 cm and is now approximately 2 cm and shrinking things are trending in the right direction). Teachers (Michael Lyach who at 80 years old is a cancer survivor, has a pacemaker, and is still racing), teachings that show us acceptance of what is in the present moment is the only path to sanity (wishing that something were different than it is currently is not a viable strategy for anything but driving ourselves crazy), and community (our Gavia community is growing stronger by the day and each person who passes through our doors or joins one of our group rides is responsible for that). I would like to assure you that every kind word, thought or feeling you generate makes a difference in the world; it is clear to me that each of you played a part in my being here, thank you for saving my life. Each and every person matters. You have everything inside you that you will ever need to be your best possible self; you need to discover the path to allow that to happen for you. The path is not always direct and it is not supposed to be easy but if you stick with it and put your trust in the three treasures, in whatever form they present themselves, you will surprise yourself with the amount of joy and happiness that fills your life and that of those around you. 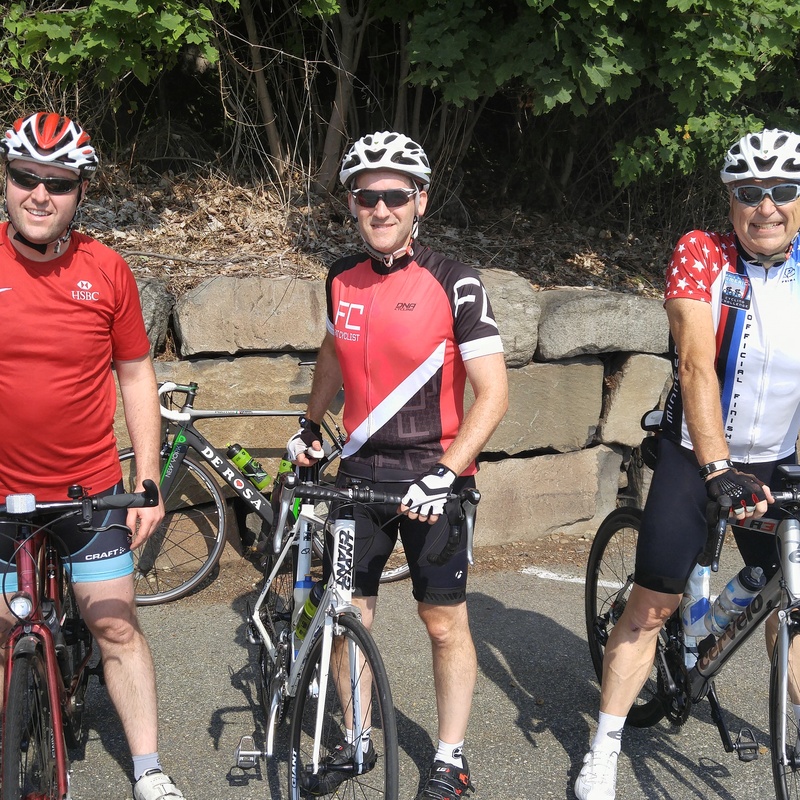 I was lucky to be able to participate in some really inspiring group rides this past weekend, not due to the challenge of the route but more because of the people I rode with. We started together and then Rob and Tom moved on a little bit faster while Chris and I rode together. It was Chris’ first time on Alpine, he had his commuter bike, he stuck with it…..I could sense he was getting tired (probably when I heard him say “I’m getting tired”) but I let him in on the secret to the climb (what, don’t you know the secret? OK, I can tell you – other than “be lucky enough to ride a DeRosa with Campagnolo components” the other secret is to listen for the waterfall when you hit the 3/4 mark; at that little pitch up it tells you that as soon as you look around the bend up and to the right you are near the top, there is only the left hand turn and the quick right where you can see the station) – and then Chris found it inside him to embody Champions Finish Strong and we stopped for some cold water at the top………pretty inspired ride! We got up to the light and he decided to head back home to Port Imperial just as the rest of the group showed up – perfect timing for the next part of our ride! 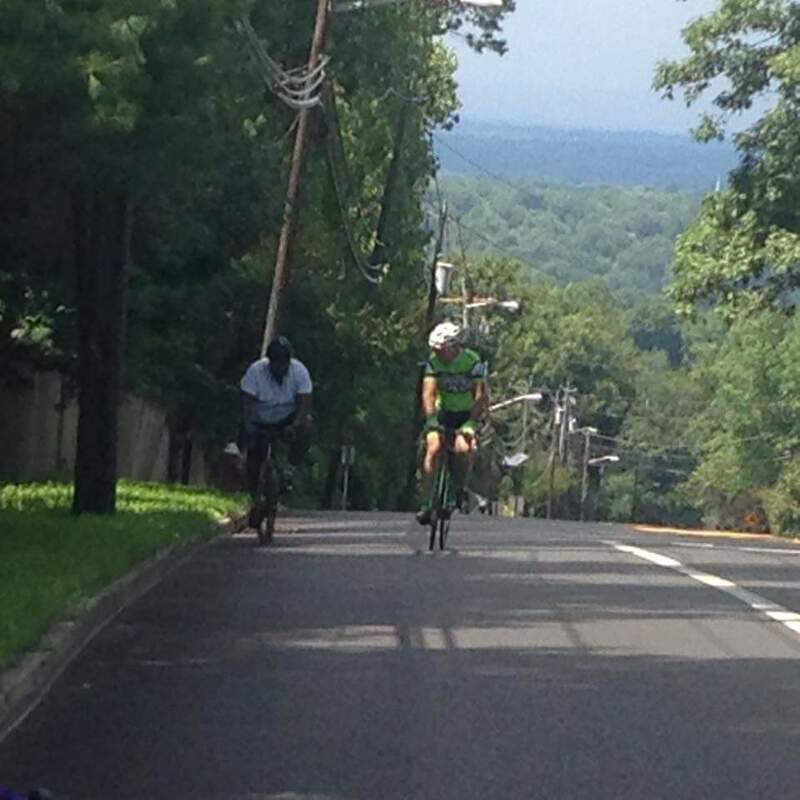 From here we took the back roads through Piermont where one of our team had a flat. Ektor decided to head back – he was time constrained because of work. 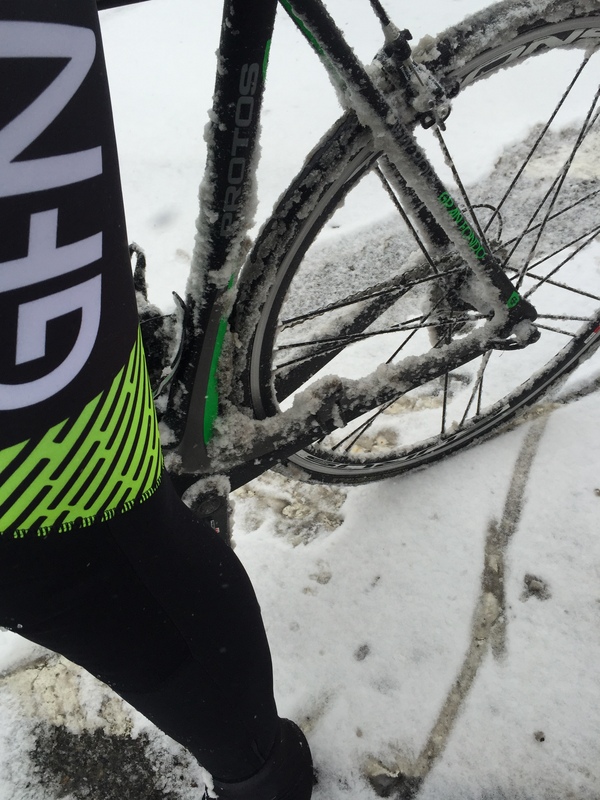 Ektor was the friend who inspired me to ride all winter; had it not been for Ektor I would have remained home eating instead of getting out on the road riding…missing all this fun and gaining another 20 pounds. Ektor is a no excuses guy, rides with a bad back, almost always in pain….but he rides….and always attacks on Unnecessary Hill, no matter how he is feeling – it is a Pavlovian response – sees that hill, goes on the attack…..perhaps the mind is stronger than our perception of what our bodies can do! 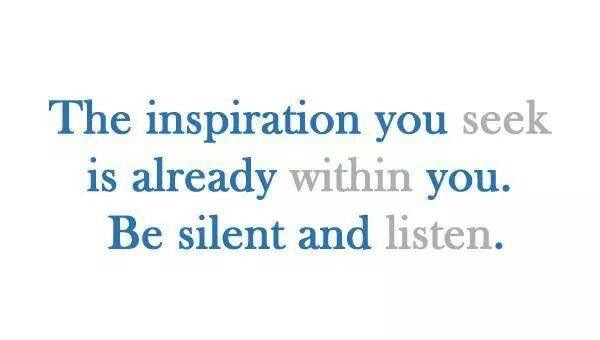 Anyway, I am forever grateful for his quiet inspiration. From Piermont we took the back roads up Tweed and into Nyack for a snack at True Foods and then headed home along Piermont Road, leaving the climbing for Tenafly and Englewood Cliffs. We moved along pretty well, the the temperature moving right along with us, and I had an opportunity to practice riding in the drops, thanks to my coach Juan Aracena. The tough part – heat, fatigue, climbs up Hillside, Hudson and East Clinton. I could sense that John was pretty beat (I senses it right around the time he started saying “I’m beat! )…but those who know John know that he doesn’t have any quit in him. It was a little tough getting over to Hudson, then Engle is a little easier but lets you out on the lower slopes of E Clinton and there the work begins. Pedal stroke by pedal stroke, John climbs E Clinton. I rode with him, knowing that I was the one who convinced him to change from a compact to a mid-compact, safe in the knowledge that he is a church going man so he would not act on the thoughts related to my personal health that were running through his mind….. The rest of our group waited for us midway up E Clinton – they said it is the only way they could take this photo but I think they used me and John as an excuse to rest – anyway, we headed up the rest of the way…with John attacking me on Unnecessary Hill….I think Ektor and John have formed an alliance to try to kill me at the end of the rides – time will tell. Surrounding yourself with inspiring people is a great way to change your belief system from one that, perhaps from the time you were a child told you not to push the envelope, beware of failure, don’t venture beyond your capability – to a belief system that, on a daily basis, allows you to see that you have not even scratched the surface of your potential, that you are stronger than you think and that your mind and soul will support your physical efforts if you are willing to challenge yourself a little bit…..I repeat, a little bit…..pedal stroke by pedal stroke…. Why it’s good to ride with cyclists who are better than we are (sometimes)…. Tom and Juan must be reviewing my data He who laughs last laughs best! Thankfully Tom was out for a recovery ride so I only had to kill myself to keep up; the other two guys went ahead of us in River Road and only had to come back down about 100 meters at the top of Alpine to put the group back together. Off we went to 9W, around the back to Tweed (Leo went off to the right and headed back) and Juan, Tom and I headed to Nyack for a snack at True Foods. We rode Tweed back, those hills are always fun headed south, then 9W into the park and home. During our ride back Juan spent some time working with me, teaching me proper technique related to riding in the drops, tugging on my handlebars from time to time to teach me balance and then showing me how to stand up, climbing State Line in the drops with a heavier gear than normal so that I could practice the side to side movement of the bike while leaning over the handlebars. In this case it pays to be heavier than light as the upper movement helps improve your speed uphill – if one were to use the words “speed” and “uphill” in the same sentence when describing my cycling……. 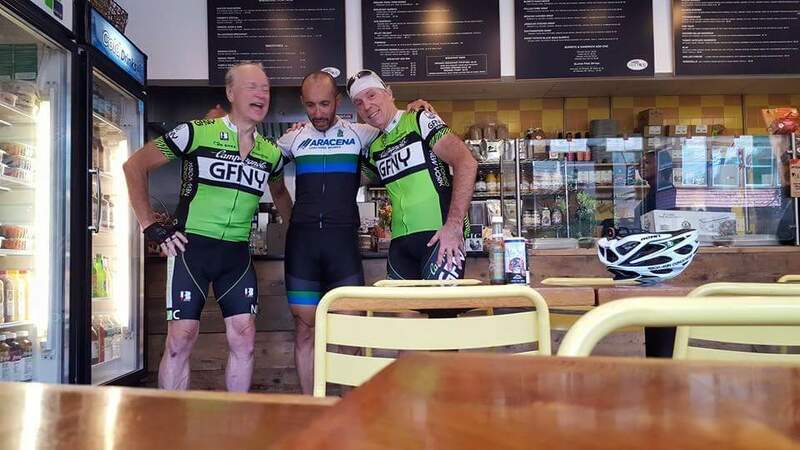 For the Strava gang, no surprise that I had 23 PR’s riding with these guys; more importantly I was required to ride at a higher level than I could ride on my own – the biggest benefit of riding with people better than you. I would encourage cyclists of all levels to do that from time to time – ride with people better than you even if they aren’t going to coach you or wait for you. Let them know ahead of time that you would like to join the ride, even if it is for a short period of time. I learned from my friend Juan Carlos a while ago that if the general makeup of the group is a little stronger than your level, try to remain in the middle of the group. If you begin to detach the people behind you will simply pass; if the group is large enough you will recover while some of the group pass you and still won’t get shelled out the back. Typically though, there is always someone who is happy to help bridge you back up. The exception – when the group is a training group and you see them riding single file, time trialing or pace lining; let them be, they are involved in serious training and we ought not disturb that. There is no barrier to entry – just get on your bike and go!